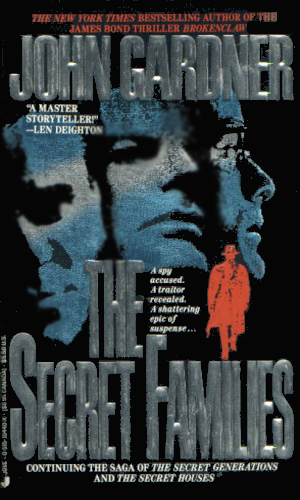 The Secret Trilogy traces the life in espionage of the Railton family. It is a three-book series which depicts in splendid detail the history of the modern British Intelligence system, as told through the lives of the Railton family members. This fictitious clan's saga starts before the bloodshed of the First World War and moves through the decades until the late 1970's. At the head of the Railton family, and the chief architect of the spy organization he would help build, is Giles. This is a dedicated and quite ruthless man who is determined to build an international network of spies. To do so, he uses each member of his family as pawns, to be protected when possible but sacrificed when necessary for the common good. Also playing a major role is an American family of the name Farthings, as comparable to the CIA as the Railtons were to MI-6. Each has its natural leaders and willing followers; each suffer from distrust from outsiders and worry about double agents on the inside but neither family ever really verge from their dedication to their trade and when the two families interact, the conflict between devotion to family and country versus following one’s heart grows strong. This is an epic tale, encompassing a wide assortment of people with individual foibles and strengths. In the books, the reader grows to know and like or hate many characters but even more, the reader watches the world change with and sometimes because of them. There has not been another series written that has such an intense and wide vision. Taking the reader from the start of WWI through the rise of Nazi Germany, this book tells how Giles sets out his chess pieces, training and using his sons and their wives whenever and wherever needed. Introducing an American family, the Farthings, this volume describes how the Railton's organization, named Tarot, is betrayed and most of the family is put at risk. The traitor's identity is not known but it is most certainly a Railton. With the passing of the patriarch comes a disturbing rumor that all along he was a paid agent for the Soviet Union. The Railtons must fight with all they have to find the truth, even if the truth might destroy them. 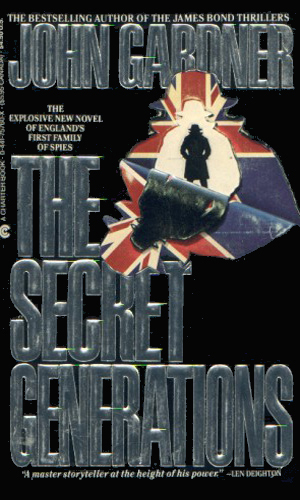 If you like spy novels, and the emphasis here is on the last word, you will be enthralled by the Secret Trilogy. For me, there were parts that plodded and some that made me furious but in the end it has my solid endorsement. The dedication to their craft make the Railtons an intriguing family which I could not always understand let alone agree to but which were mesmerizing to follow. If you are more in the mood for Nick Carter and that type, don't bother with this. If you are a fan of Len Deighton, John LeCarre, Graham Greene, Eric Ambler, and the like, this is for you. 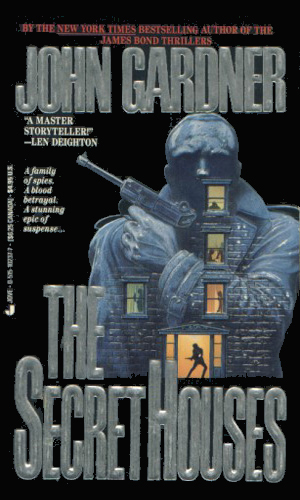 In my opinion, this trilogy was Gardner's fineist work. They probably inspired Deighton to write the Sampson books and much more. They work as historical novels and espionage thrillers - search them out!